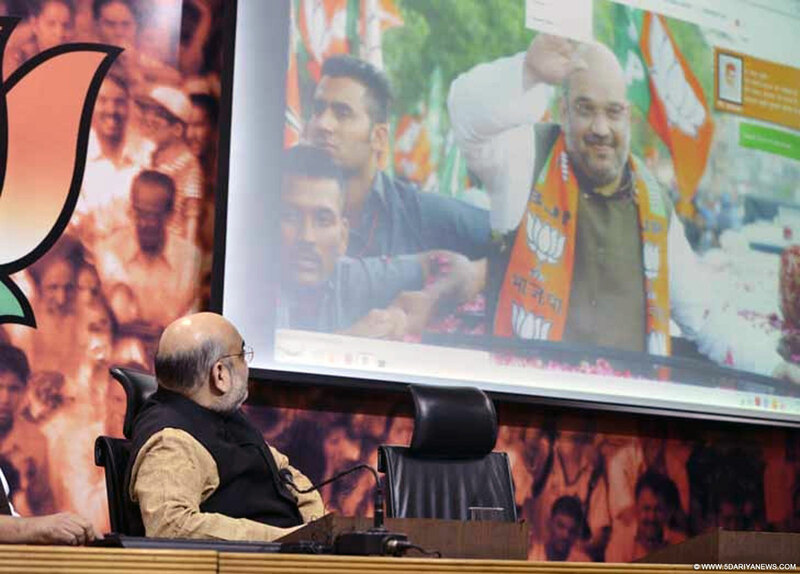 BJP chief Amit Shah during the launch of his official website in New Delhi on Sep 26, 2015. The official website of BJP president Amit Shah was launched at the party head office here on Saturday.The website -- www.amitshah.co.in -- was launched by Bharatiya Janata Party general secretary Ram Lal at the BJP head office on Ashoka Road in central Delhi. "I always receive complaints from people that I interact less with the media. I do accept that," Shah said.He said information related to the party, the government and his own activities will be available on the website, and it will help him in interacting with the people of the country as well as party workers.